Just a simple garage–maybe not! Today Google celebrated it’s 15 year anniversary at the garage where founders Larry Page and Sergey Brin started the company. 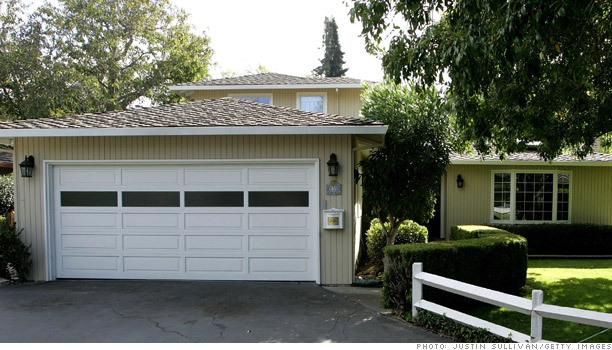 Turns out they were not the only silicon valley companies to start in a garage. Hewlett Packard started the trend and Apple got it’s start there as well. Maybe its time to move out the cars and lawn mower and get something started in your garage! To read the article from the Los Angeles Times CLICK HERE. This entry was posted on Friday, September 27th, 2013 at 11:57 am	and is filed under Marshall Eichenauer, Personal Interest. You can follow any responses to this entry through the RSS 2.0 feed. Both comments and pings are currently closed.